The footsteps of price Charles. 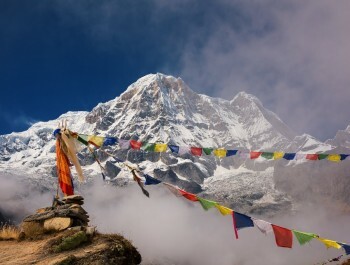 Get an easy uphill walking taste of The Royal Trek which is replete with low altitudes, village life, Annapurna Ranges, consisting of Annapurna I, Annapurna II, Annapurna III, Annapurna South, terraced fields, lakes, including mountains, such as Fishtail, Langtang, Dhaulagiri, Nilgiri, and Lamjung. This trek is an immersive experience. Although The Royal Trek is short, yet it has been outsized by the famous personalities like The Prince Charles and Mick Zaggar, the vocalist of The Rolling Stones. 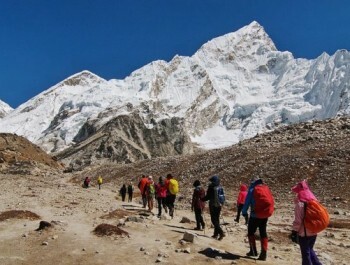 If you want to enjoy your week fruitfully without exhausting and want to make it memorable, this trek is more than Mr. Perfect. You will find this trek the grandest because it is ornamented with natural beauties, and none of these hides from your eyes that seek beauties that is no longer secret. These beauties are open like a book. This trek is also full of drama because the tips of the mountains overlook at you, and they look bluff, and the trek seems to be boasting of this. 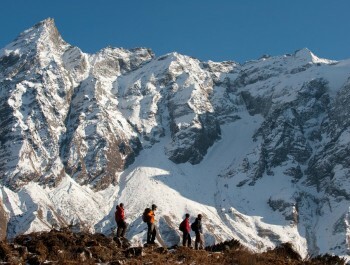 You start off this Trek from Pokhara, the city of lakes. Pokhara is so compact that you can swallow its beauties within 24 hours, as well as you can reach from one place to another place quickly. 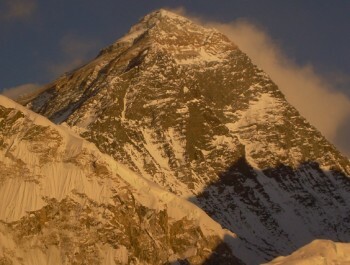 In addition to this, Pokhara is one of the finest cities in the world for its geological wonders. Here, you will be allowed to spend a night by the lake. If you like then you can go for boating, and in the water, you see the breath-taking reflection of the mountain. Check out our fixed itinerary for The Royal Trek or just send us an e-mail and we’ll tailor make an itinerary based on your requirements. Day1 : Arrival in Kathmandu - (1360m)Arrive at any time, we will pick you up from Tribhuwan International Airport and take you to the hotel. Your included activities consist of refreshments, introduction to your guide, as well as an introduction on The Royal Trek. Day2 : Drive or flight from Kathmandu to Pokhara - (827m) 7 hrs DriveAfter breakfast, you will head off to Pokhara by bus along the Prithivi Highway. You will take 7 hours. 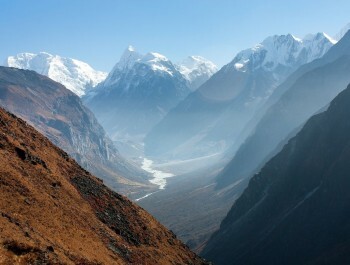 Today, you will visit Davis Fall and Phewa Lake. Overnight at hotel inclusive breakfast. Day3 : Pokhara to Kalikasthan - (1370m) 5 hrs TrekAfter your breakfast, you head off to Bijayapur by bus to start your trek. The trekking trail traverses the paddy fields and heads off to a small river. You cross this river and descend to Kalikasthan. Then you take some rest after arriving at Kalikasthan, and you explore the surroundings area. Overnight at lodge with full board meals. 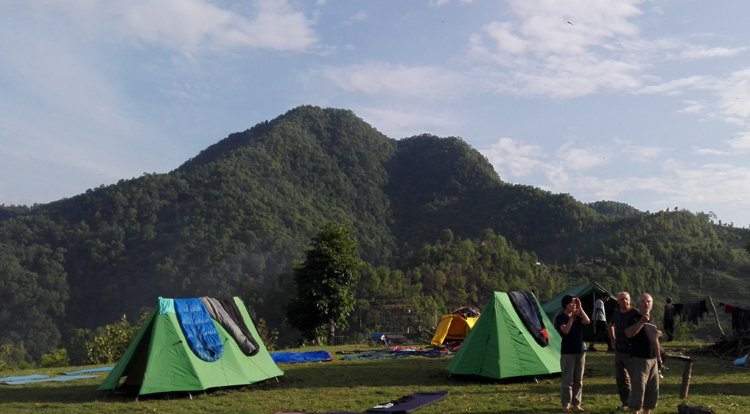 Day4 : Trek from Kalikasthan to Lipini Village or Syaklung - (1760m) 6 hrs TrekAfter breakfast, you start your trek by traversing through villages. The trekking trail that you follow also passes through a ridge, which offers a massive view of Lamjung Himal and Annapurna Mountain. You will also know about the local life, visit traditional villages and step into the beautiful rhododendron forest. Overnight ate lodge with full baord meals. Day5 : Trek from Syaklung to Chisopani - (1550m) 6 hrs TrekYou start your trek early in the morning and pass through the ethnic Gurung village where you will explore the local lifestyle. You walk ahead and reach an area rich with bio-diversity, filled up with rhododendron and pine trees. After a wall of 400m descend and 600m ascend, you arrive at Chisapani, from where you can see the views of Himalayas, such as Dhaulagiri and Annapurna. Overnight at lodge with full board meals. 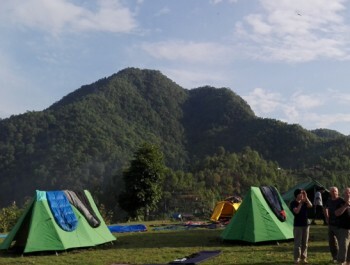 Day6 : Trek to Begnas LakeToday is the last day of your trekking. 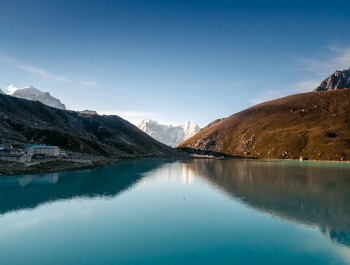 After breakfast, you trek downhill and reach the Rupa Lake. Then you follow the trail that passes through scenic nature. You will do boating in this lake and explore the natural beauty of the Begnas area. Begnas Lake is also called a fresh water lake. It is the second largest Lake, after Phewa Lake and is the eight largest lakes in Pokhara Valley. Overnight at hotel inclusive breakfast. Day7 : Drive back to KathmanduAfter your breakfast, you will drive for 7 hours along the bank of the Trishuli River. And then transfer to hotel for the refreshment. You will have farewell dinner in the evening. Transfer to your hotel. Meals include breakfast. Day8 : Departure to your destinationToday is your departure day, we will drop you to the International airport to catch your flight back to your home and pray for your Safe journey. Twin sharing local homestay accommodation while on trek. An English speaking trekking guide for the trek. All the transporation as per the itinerary.